Continuing its pivot away from its traditional smartphone market and into cybersecurity, BlackBerry Ltd. announced its biggest acquisition ever this morning, picking up security firm Cylance Inc. for $1.4 billion in cash. Cylance, which focuses on manufacturing and “internet of things” applications, will operate as an independent business unit. But BlackBerry said it will quickly fold the company’s technology into its QNX unit, which makes software for autonomous vehicles. The Irvine, California-based company, founded by two former executives of Intel Corp.’s McAfee software subsidiary, uses artificial intelligence technology to detect threats that don’t match known attack signatures. The company has raised nearly $300 million and was said to be a close to an initial public offering when BlackBerry swooped in. 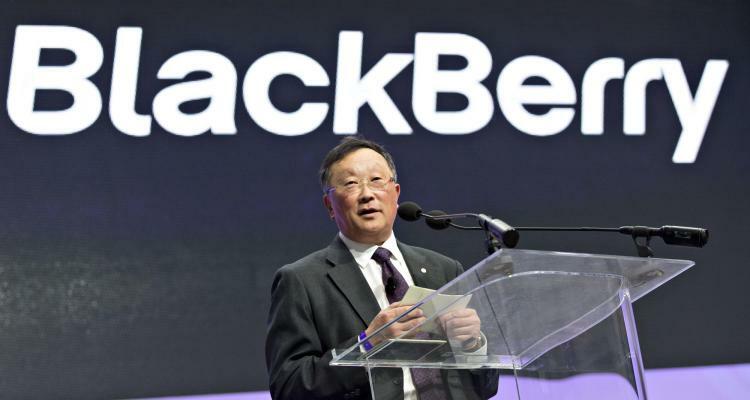 BlackBerry, which once dominated the smartphone industry but was overwhelmed by more functional iOS- and Android-based devices, has shifted its focus toward IoT and autonomous vehicles in particular under Chief Executive John Chen (pictured), who was appointed in 2013. The company exited the smartphone business entirely two years ago. Its principal products today are Spark, which creates trusted connections between endpoints, and QNX, which is used to develop embedded applications. The combined companies will have more than $1 billion in software revenue, he said. BlackBerry cited a recent Gartner survey that found that security was the top barrier to IoT success, with 35 percent of technology executives calling it a concern. Cylance’s technology is “completely autonomous of the cloud,” McClure said. “We can install in an offshore oil rig and never need an uplink.” Some of the company’s products have been running for 18 months without a connection, he added. The deal is going to be closed by the end of February 2019.